Increasingly, schools are using Chromebooks in the classroom, and the Chrome browser has become a revolutionary tool for schools. The beauty of using Chrome is that any device can run this browser, allowing students to easily and affordably be creative and engaged learners. Conversely, many teachers find themselves falling into the routine of just using Chrome as a way for students to access GSuite and browse the web. This two-day workshop will show how teachers can maximize Chrome or Chromebooks to have students shift from being simple consumers of information to becoming phenomenal creators of content. JOIN KCI CONNNECTS and SAVE! KCI is pleased to announce the next Computer Science Workshop in the series. Join us for a special 3 hour workshop focused on how to integrate coding into your math classes at any grade level. 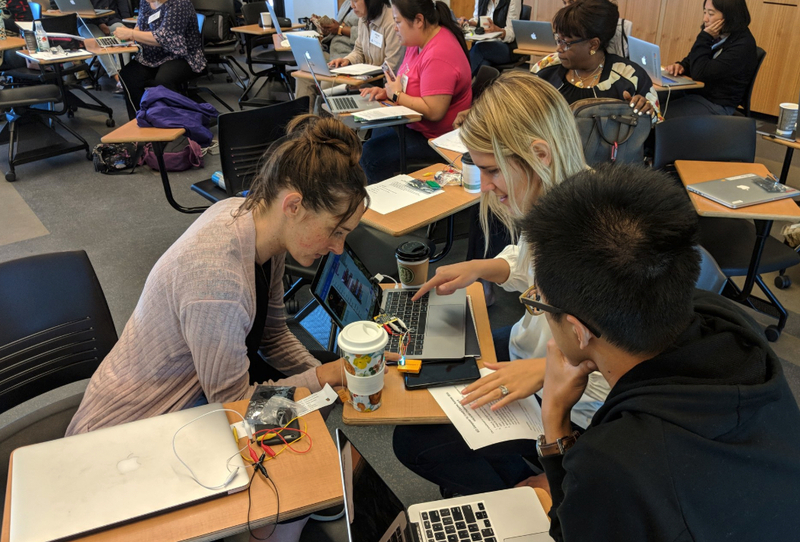 In this session, we’ll find out how to achieve #CSforAll by exposing students to Computer Science in their core math classes with block-based and text-based programming languages and activities. We’ll spend half the time exploring Scratch, the block-based programming environment to teach coordinates, programming formulas, slope-intercept, and visual patterns and the other half exploring WeScheme and the Bootstrap:Algebra modules that integrate CS with Order of Operations, Functions, Domain/Range, and Transformational Geometry. This workshop is most appropriate for educators working in grades 3-12. All coding levels welcome. The workshop will include a networking lunch with other educators interested in computer science. Questions? Contact Liane Freeman at ude.adhfnull@enailnameerf.